Not really a widget. 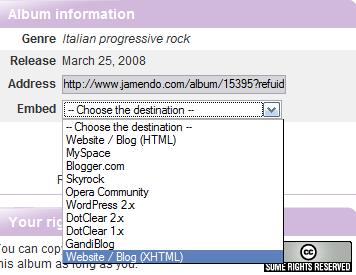 If you want to add jamendo player to your blog it's very easy. 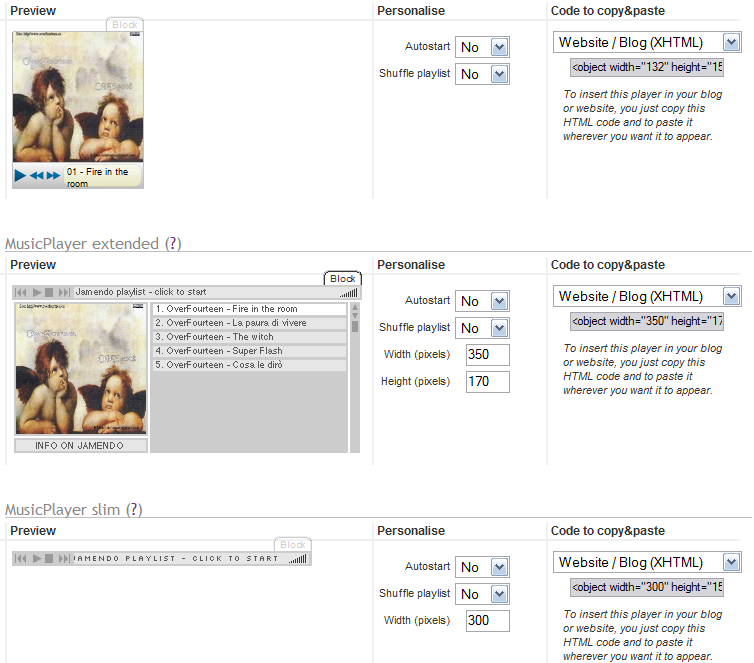 Upload your music, share your favorite artists! Hey thanks slamp! 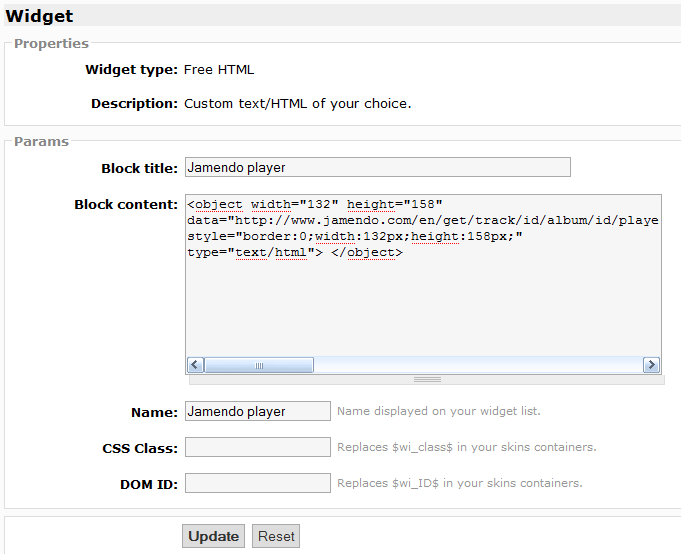 jamendo is a pretty cool site. I've downloaded quite a bit already.